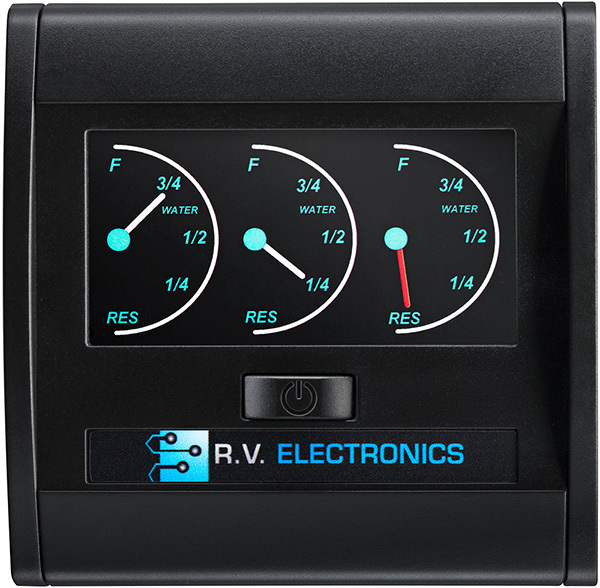 The R.V. 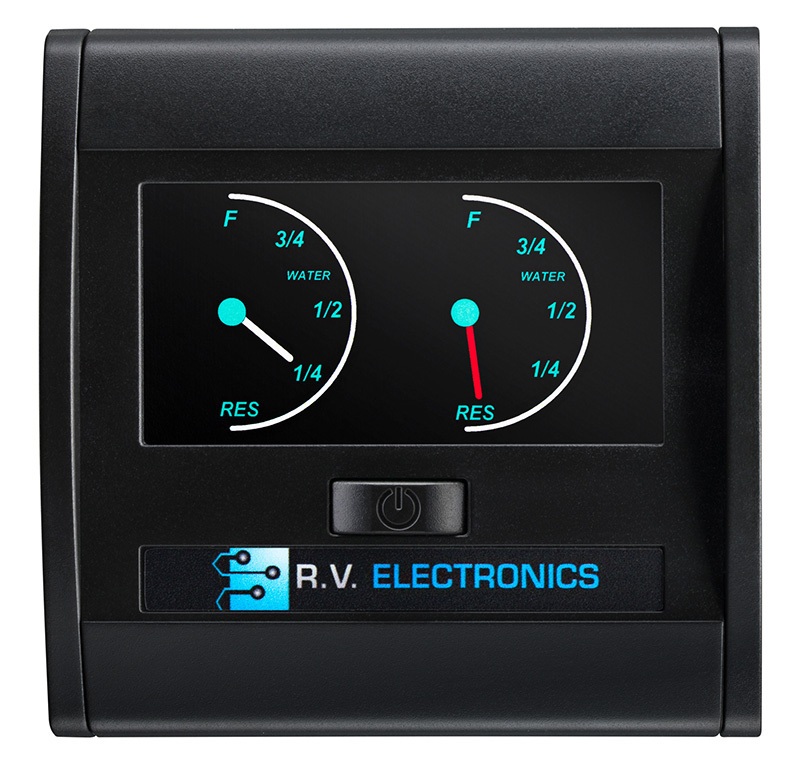 Electronics Pty. 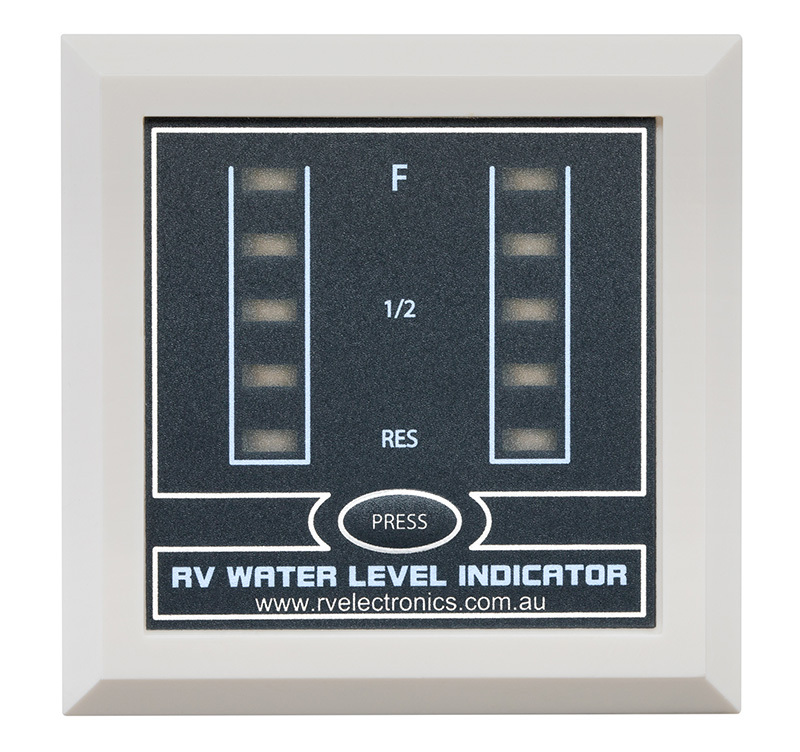 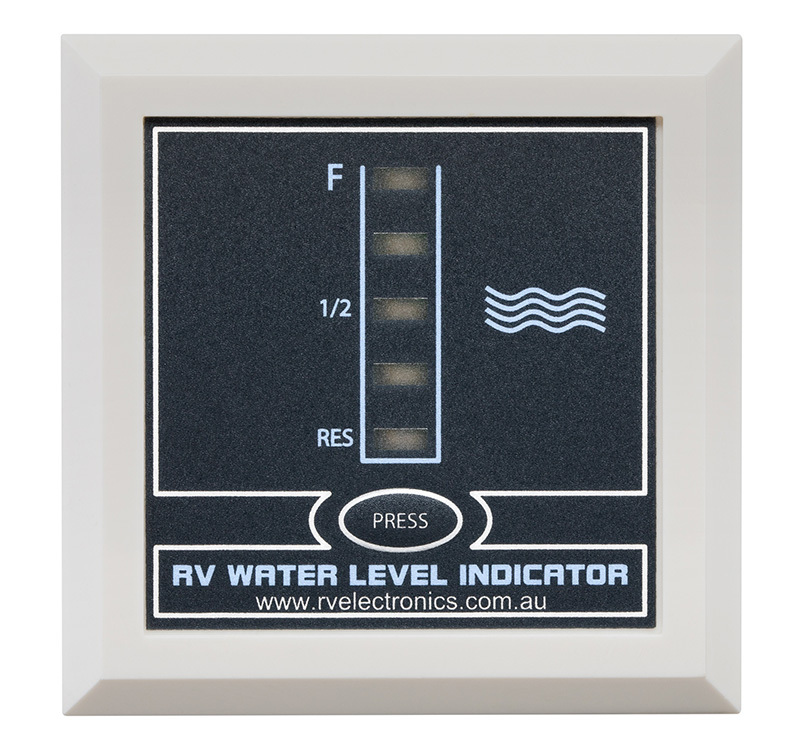 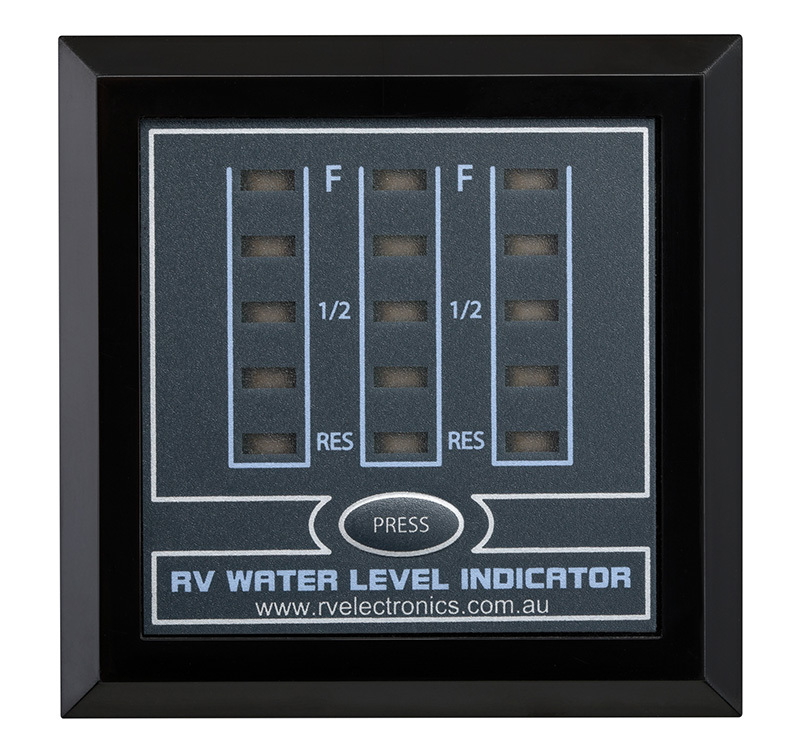 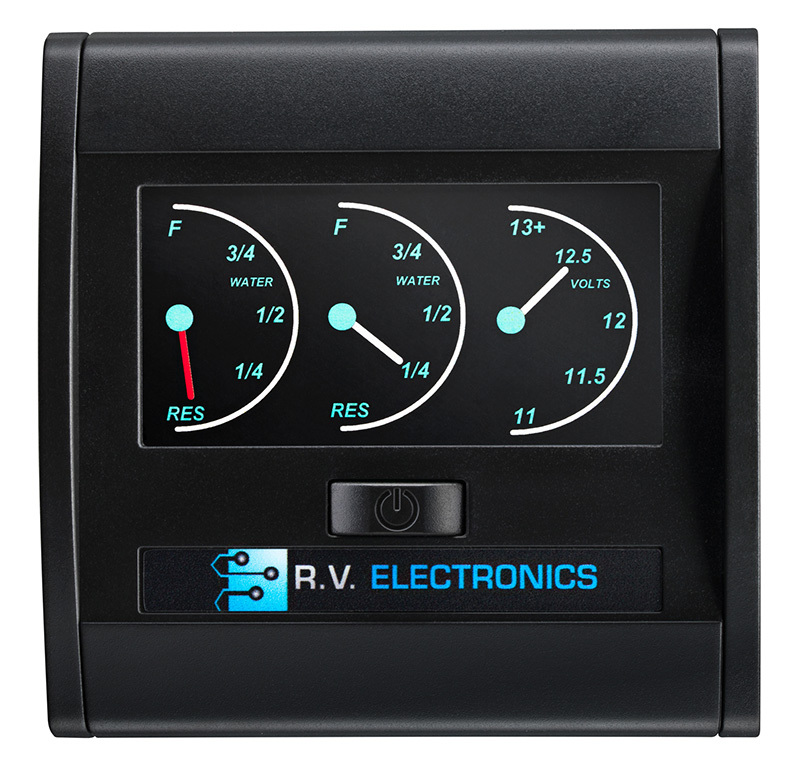 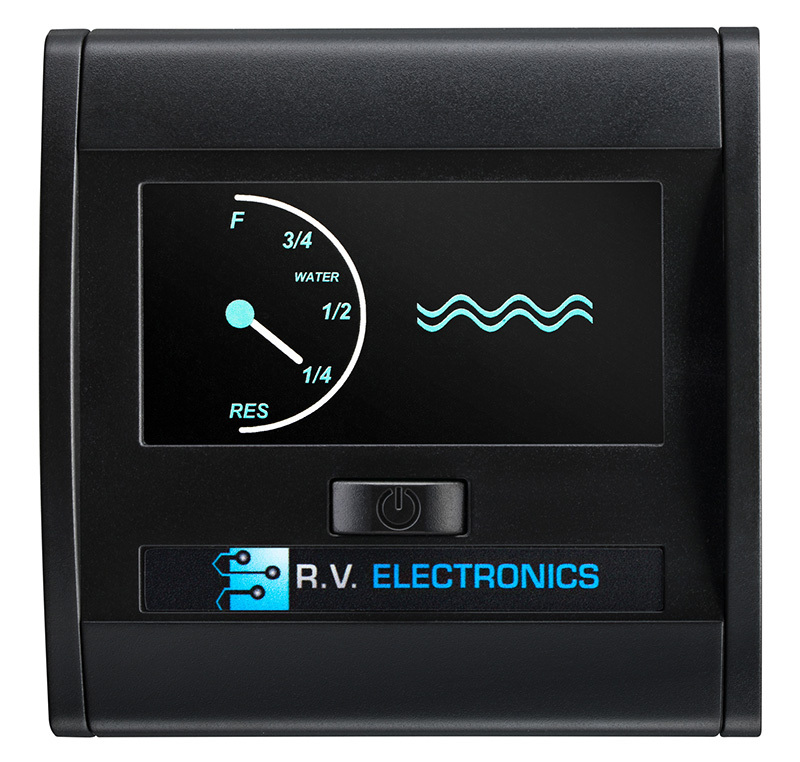 Ltd. Water Level Indicator has been designed to give an accurate reading of the water level in the on board water tanks of Caravans, Travel Trailers, Motor-homes, Campers and Boats. 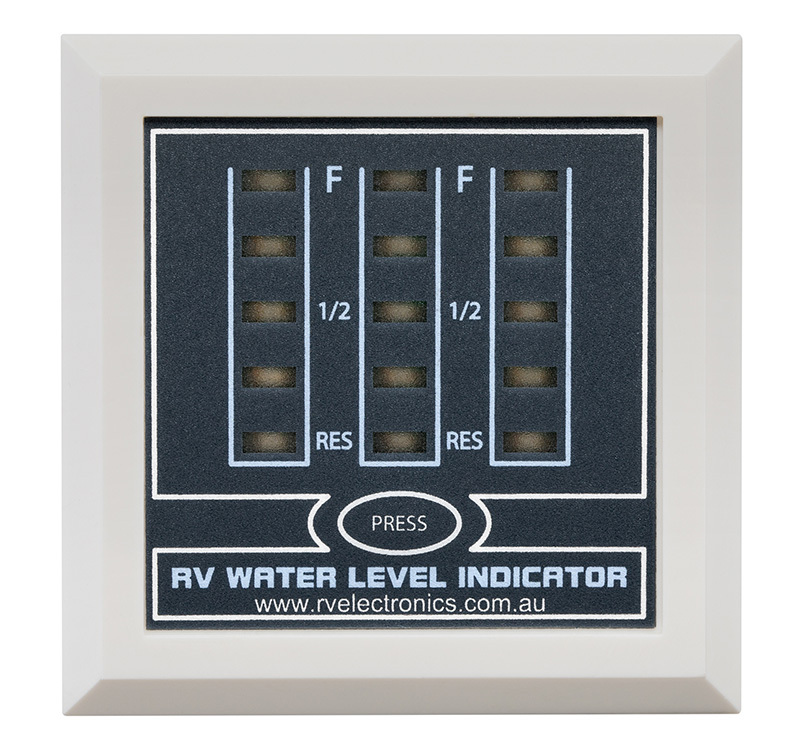 One of the most important features of this product, is its ease of installation. 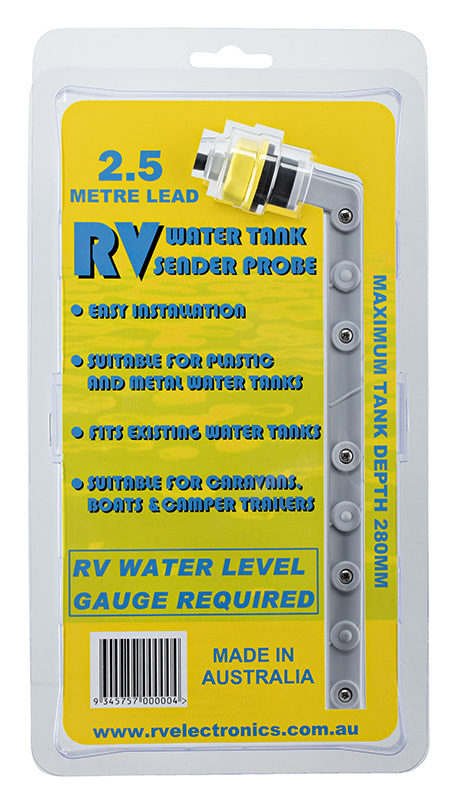 The tank sender probe is installed into the side of the water tank, making it unnecessary to remove the water tank from its mountings. 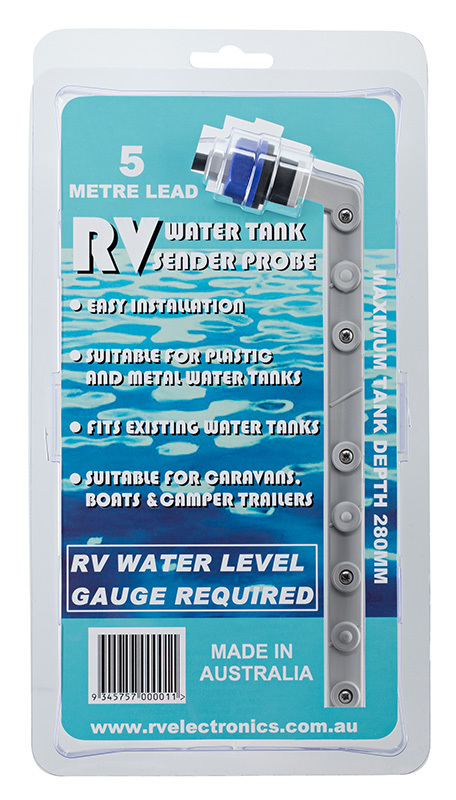 The sender probe has no moving parts and measures the water level by water contact with the 5 sensors along the arm. 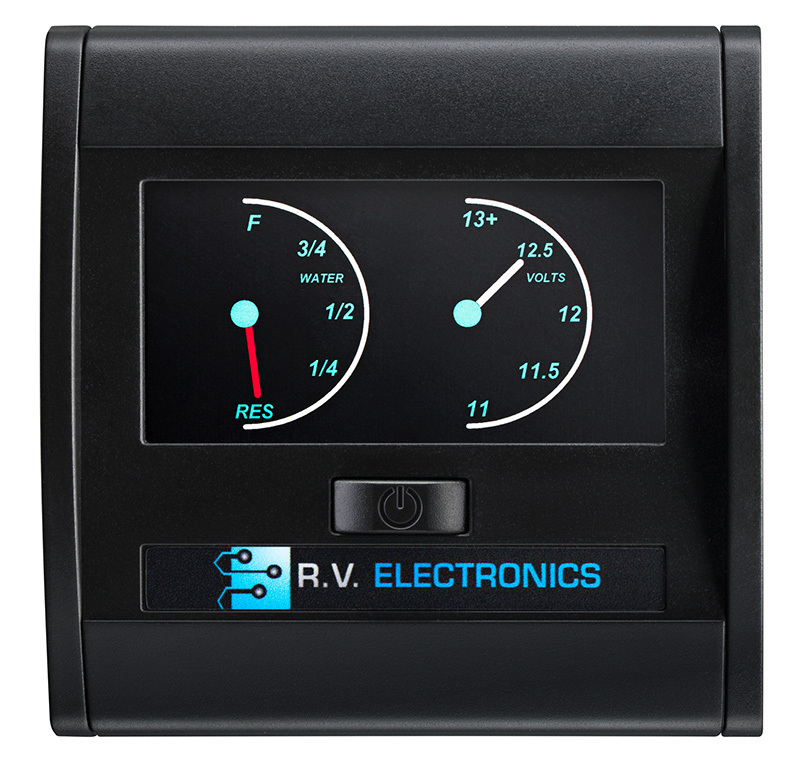 These new technology gauges have a coloured LCD analogue display with LED backlighting for crystal clear viewing . 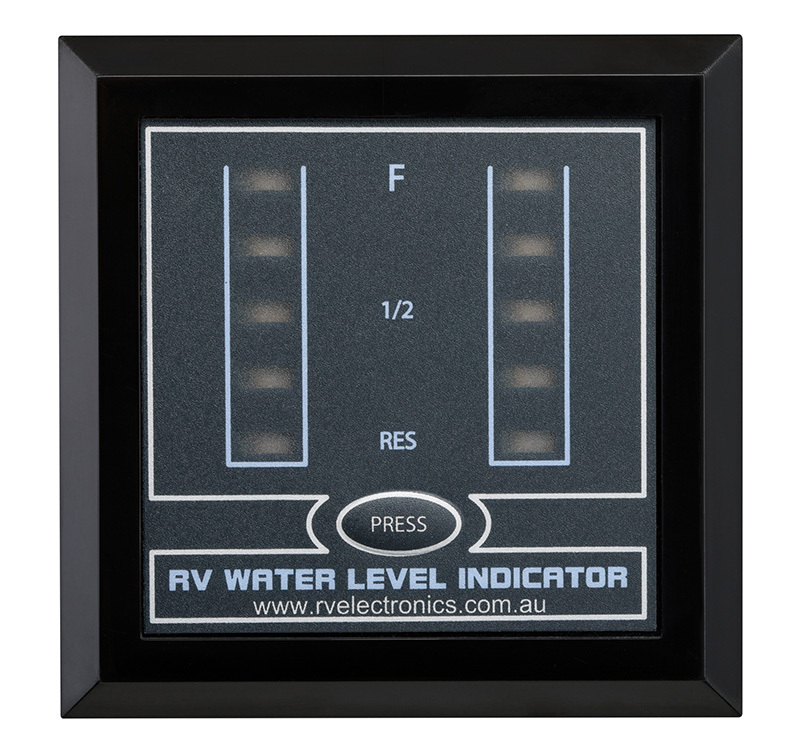 No need to push a button when you want to see how much water is in your tanks. 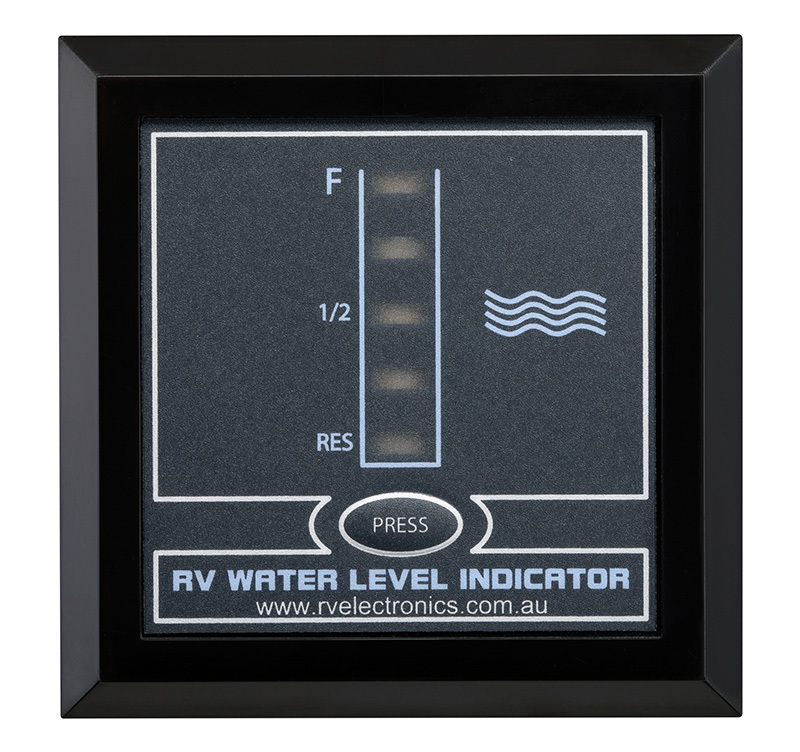 These new gauges can be left switched on to constantly check your water level. 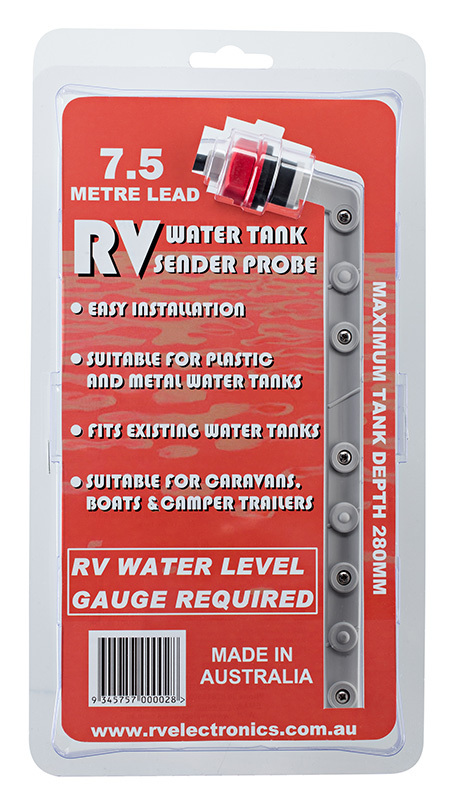 There is a power on/off switch to turn the gauge off when the caravan is not in use.